This post is part of our Hireology employee spotlight series. Stay tuned to learn more about a day in the life as a Hireologist! James has been with Hireology since February 2017. 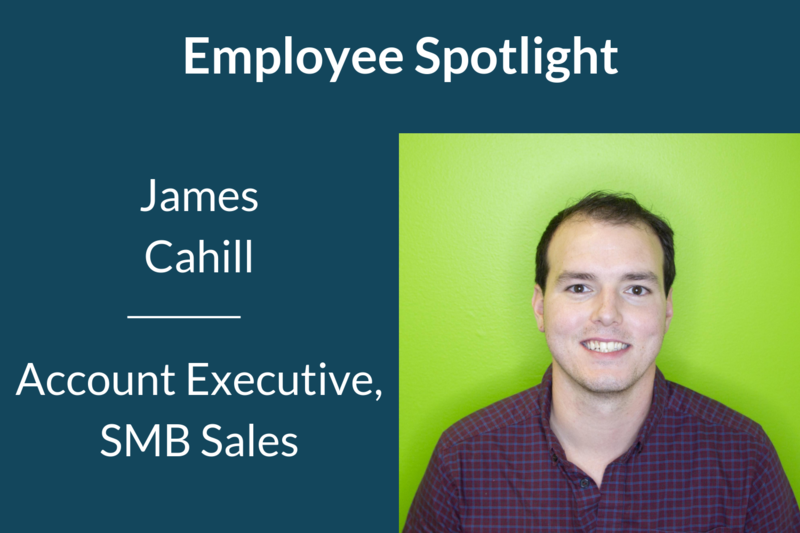 Read on to learn more about James and his impact on our SMB Sales Team. James, can you tell us a bit about what you’re working on? Right now, I am working on building my sales pipeline for Q4 to close out the year strong, and make some extra holiday cash. Building a strong sales pipeline has always driven from activity and holding demos. In my time at Hireology, I’ve run over 500 demos. Sticking to that sales approach, I should be in great shape for the rest of Q4. Most people don’t know that I have two older brothers who are identical twins. It was like having one older sibling since they did everything together and acted like one entity. Needless to say, I was the favorite due to the simple fact that I didn’t have a twin. One other thing most people don’t know about me is that I enjoy musicals, including movies and live plays. What path did you take to get to where you are today? After graduating from Western Michigan, I started working at Xerox doing outside sales selling copiers and managed print services. After two years of driving around selling hardware in the suburbs of Chicago, I switched to selling software. I had a connection at Hireology, began the interview process for the sales team, was offered the job, and the rest is history! How would you define Hireology’s culture? I would define Hireology’s culture as being a great place to enjoy what you do for a living. Companies always advertise culture as a benefit to prospective employees. However, Hireology holds true to that and sets the highest standard of that promise. I enjoy not only working with everyone here and taking advantage of our office perks, but am just as passionate about selling our product. I learn from people around me in the same role everyday, which creates a contagious environment that allows me to be successful, have fun at work and develop great relationships. There are no other culture like ours. What is your favorite book or TV show right now and why? My favorite TV show is Entourage because of Ari Gold, that man is the goat. Favorite Movie is The Dark Knight because it’s Batman, it was filmed in Chicago, and Heath Ledger playing the Joker was the best performance in years. The only video game I play is Super Smash Bro’s Melee for Gamecube.